TheTownCrier: The irony is so thick, we could wall up the entire border with it! The irony is so thick, we could wall up the entire border with it! I was listening to Rush Limbaugh this morning, waiting to see if he finally wises up about Marco Rubio & Associates , and LO and BEHOLD! Limbaugh actually mentions the name GROVER NORQUIST as being one who is lying about the Heritage Foundation study of the cost of this 'immigration reform' !! I KNOW!!! Then a commercial came on...Rubio is speaking, promoting the gang of 8 plan... and actually says this AMNESTY has the toughest enforcement in US History, possibly the world...LIES!....did you hear that? "THE WORLD!" And WHO is paying for this ad??? Americans for a Conservative Direction...sounds nice, don't it??? NOT! The group is financed by facebook's own open border loving Mark Zuckerberg, propped up by a bunch of sell out republicans! THAT's what bipartisanship gets you! Enemy Within Mark Zuckerberg of Facebook has assembled some of Silicon Valley’s wealthiest figures including liberals Bill Gates of Microsoft and Eric Schmidt of Google to fund propaganda groups FWD.US and Americans for a Conservative Direction to advance the cause of a large scale rewrite of U.S. immigration policy. 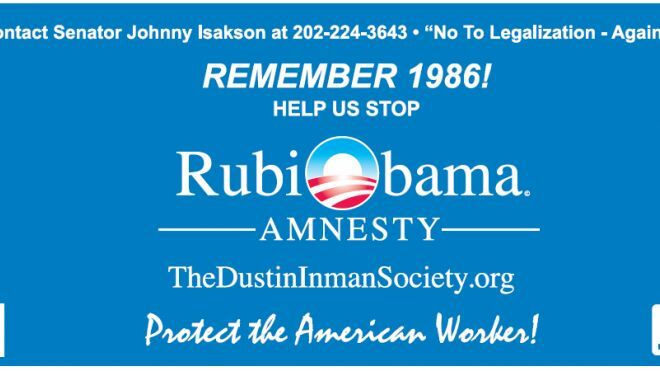 IT IS A RUBIO AMNESTY AD! 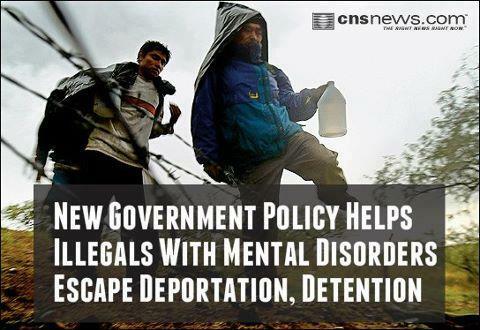 RUN BY AMNESTY HACKS! Haley Barbour - Former Governor Haley Barbour served as the 62nd governor of Mississippi from 2004 to 2012 and served as Chairman of the Republican National Committee in the mid ‘90s. Sally Bradshaw -worked as former Florida Governor Jeb Bush’s Chief of Staff from 1999-2001, and served as a Co-Chair of the Republican National Committee’s Growth and Opportunity Project. Joel Kaplan - is currently Vice President of US Public Policy at Facebook. Joel also served as Deputy Chief of Staff to former President George W. Bush. Rob Jesmer - worked as the former Executive Director at the National Republican Senatorial Committee from 2008 – 2012. Tell FACEBOOK WHAT you think! AND please don't ever bring Haley Barbour up again as any kind of Conservative savior! You have to stop being fooled by these lobbyist non profits disguised to look conservative! Grover Norquist's Americans for Tax Reform most notably! It's in the senate bill!!! [snip] Charlie Crist, if elected, would make a fine U.S. senator, and would probably be a reliable Republican vote on most issues. But I think Marco Rubio is more likely to be a leader when it comes to putting foward innovative conservative policy reforms and alternatives to America's problems. I've rounded up a group of friends, including Rep. Paul Ryan, Mary Matalin, former Rep. Vin Weber, Liz Cheney, former Sen. Bob Kasten, and former Rep. J. C. Watts, among others, to host an evening reception in my offices (901 7th Street, N.W., Washington) for Rubio after his speech before CPAC on Thursday, February 18. I'd invite all Corner readers to come over to meet Marco, who I believe will be Florida's next U.S. Senator. TEA PARTY...you got used REAL GOOD! IF Conservatives HAVEN'T FIGURED OUT BY NOW THAT YOU'VE BEEN USED AND SOLD OUT BY THE GOP, YOU NEVER WILL! How does a player like Conda get to be a lowly state rep's chief of staff...WHO hired WHO???? Senator Cruz! You need to remind Reid of his own words a few years ago before he got bought off by big gambling money! “Reid, now an impassioned champion of amnesty for 20 million illegal aliens in America, once called illegal aliens “free loaders and scam artists” which he proposed to deal with in his Immigration Stabilization Act in the United States Senate in 1993.” That proposed legislation was introduced to the floor of the US Senate with the following press release, in part, issued by Reid's office on August 5, 1993. "In response to increased terrorism and abuse of social programs by aliens, (I) today introduced the first and only comprehensive immigration reform bill in Congress. Currently, an alien living illegally in the United States often pays no taxes but receives unemployment, welfare, free medical care, and other federal benefits. Recent terrorist acts, including the World Trade Center bombing, have underscored the need to keep violent criminals out of the country." YO!! GOP...YOUR base doesn't want this AMNESTY! AND STOP saying it isn't AMNESTY! NEWMAX POLL RESULTS JUST IN! 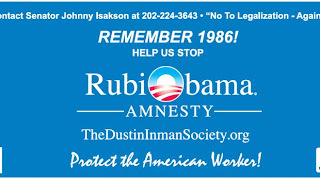 Do you believe that illegals should be given status to work in the United States after paying appropriate fines? After working in the United States for a period of time and paying fines, should illegals be allowed to apply for U.S. citizenship? I can imagine a backroom filled with politicians, their friends and lobbyists and young upstarts. An old, seasoned legislooter is advising the young one. The young one says, “I hate those darn republicans!”. And THAT is how a Grover Norquist is born. And many of them. I keep thinking about Norquist and Rove's close association with the College/Young Republicans and their offshoot, the Log Cabin Republicans. There for the picking! And sometimes they find a Marco Rubio. Sarah Palin is giving her opinion on the internet tax just passed by the Senate. In fact, she has an opinion on just about everything...most of the time I agree with her. 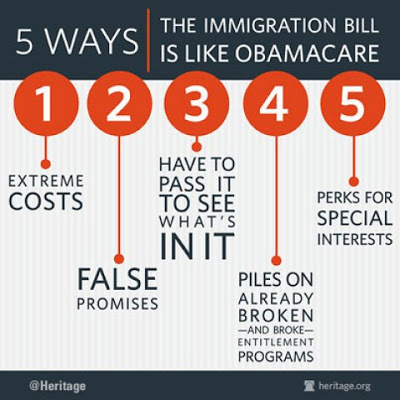 But NOT ONE WORD about this 'immigration reform' or the gang of 8. I've been waiting and watching...ZIP! WHAT SAY YOU SARAH???? SILENCE IS CONSENT!!! Sarah endorsed Jeff Flake against Lou Cardon in Arizona in the Primary. So, immirgation is not importnat, I say tax Amazon. People don't like it but Amazon has had a break against regular bookstores for years. Sales tax is better than income tax. And sometimes conseratives that are against any tax end up paying more Taxes or support Grover Norquist.